One of the most awe-inspiring and celebrated landscapes worldwide, the Grand Canyon has a record of human occupation stretching back thousands of years. Eleven Native American Indian tribes have known ties to the canyon and it is a place that is essential to their continuing cultural traditions. In 1903, President Theodore Roosevelt stood at the Grand Canyon and gave a speech, urging Americans to “do nothing to mar its grandeur, sublimity and loveliness.” More than a century later, development pressures threaten to forever alter the character of this unparalleled landscape. At the confluence of the Little Colorado and Colorado rivers, where the proposed tramway would be built. 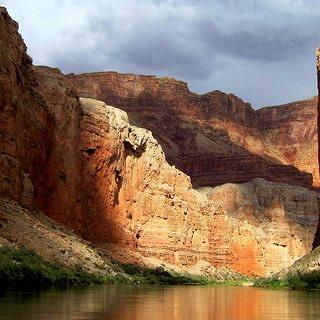 In addition to being one of the world’s most iconic natural wonders, the Grand Canyon has a rich human history. 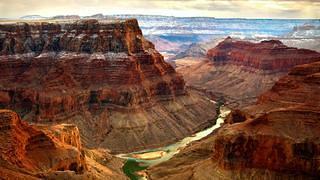 Archaeologists have found evidence of human use of the Grand Canyon dating back 12,000 years. 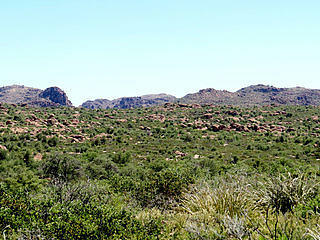 There has been continuous use and occupation of the region since that time. Many contemporary tribes, including the Havasupai, Hopi, Hualapai, Navajo, Southern Paiute and Zuni, have cultural links to the Grand Canyon, and view protection of archeological and sacred sites as essential for the preservation of their heritage. 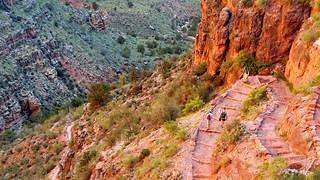 10 of the 12 types of springs found in the world are found within Grand Canyon National Park. These places play a pivotal role in the religious traditions of many of the region’s tribes, which consider them sacred. 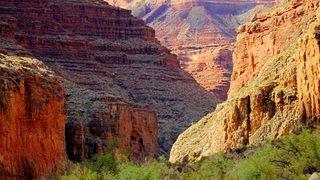 The Grand Canyon’s unique cultural heritage faces multiple threats, including uranium mining and large resort development. One proposal includes a gondola tramway that would shuttle up to 10,000 visitors per day to the confluence of the Colorado and Little Colorado rivers. 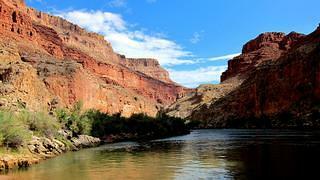 Numerous tribes have expressed concern that this will cause irreparable harm to a sacred site. The National Trust is working to save the Grand Canyon and to assure that the United States Government fulfills its responsibility to all Americans and as a signatory to the World Heritage Convention to “do all it can” to ensure the protection of the Grand Canyon. We are working to enforce legal protections while encouraging sustainable development models that support the canyon’s cultural heritage. The south rim of Grand Canyon National Park is home to the striking Desert View Watchtower with expansive views of one of the country’s most iconic vistas. 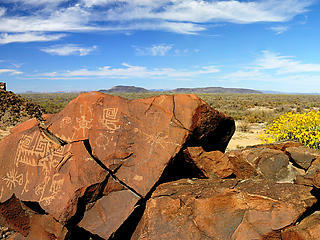 The Watchtower, an exposition of the prehistoric Indian towers found throughout the Southwest, features internationally significant American Indian murals. A $250,000 grant from Partners in Preservation: National Parks will conserve the tower’s historic murals so they can continue to tell the lesser-known story of the canyon’s tribes. 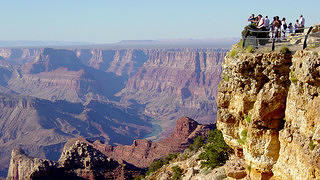 The Grand Canyon is the jewel of America’s national park system and must be protected from external threats.